My boys' didn't have a lot on their lists of things to do this Summer. 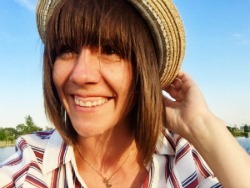 Most of the things were Summer normals, like camping, swimming, riding bikes, and staying up late. There was one special request. 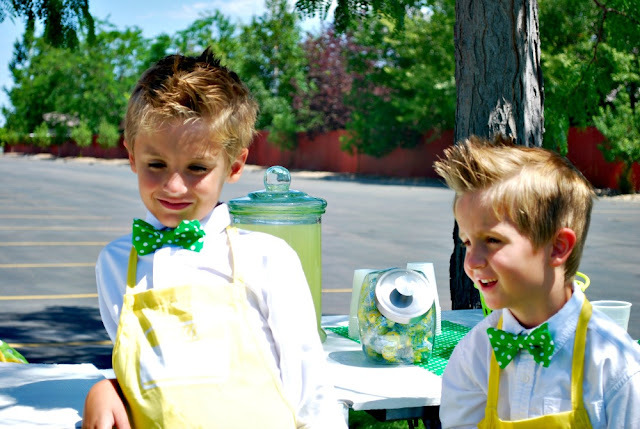 They really wanted a lemonade stand. 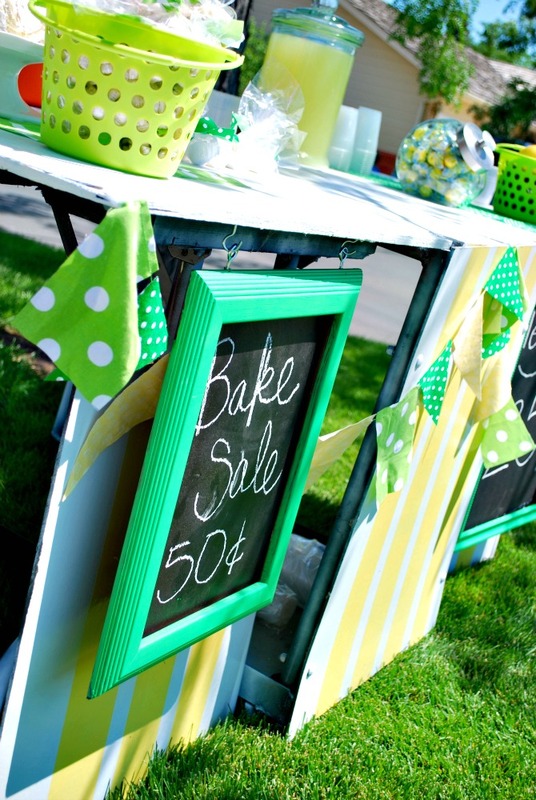 So for at least a month and a half, I have been gathering ideas and supplies, spray painting, sewing, and making a "menu" to make them one killer, very special lemonade stand. I really wanted a super cute stand that they could use year after year. I also wanted a cute stand because well, I am insane like that and I like making things much harder and more complicated than they need to be...hahaha. 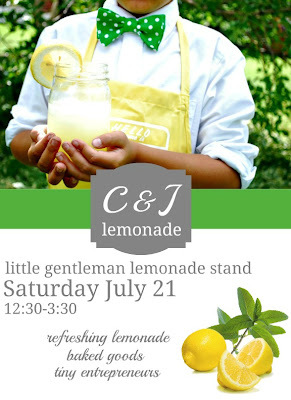 So a day before the lemonade stand we hung this flier up through out the neighborhood. Then the time rolled around and Hubby and Middle walked the stand (it folds up) over to the spot we chose. The rest of us drove over with all of the goods. Then we set everything up. The boys were looking like just about the most handsome lemonade sellers EVER. We found these simple aprons at Target. They are wearing kelly green shorts...LOVE. I got those at Children's Place. 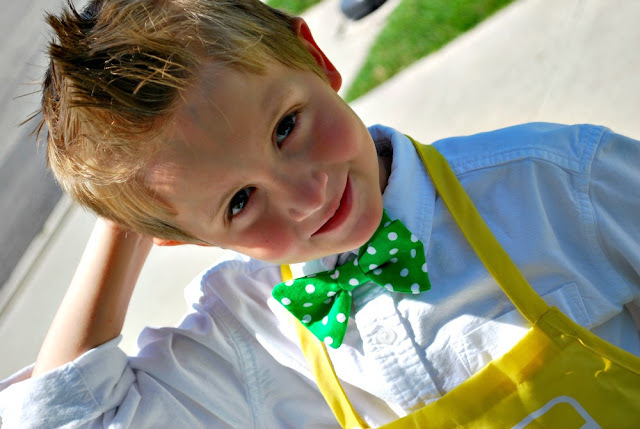 The bow ties I made. I painted some old frames green. Then I used spray chalkboard paint to paint inserts for the frames. PS...I used cardboard...it totally worked. 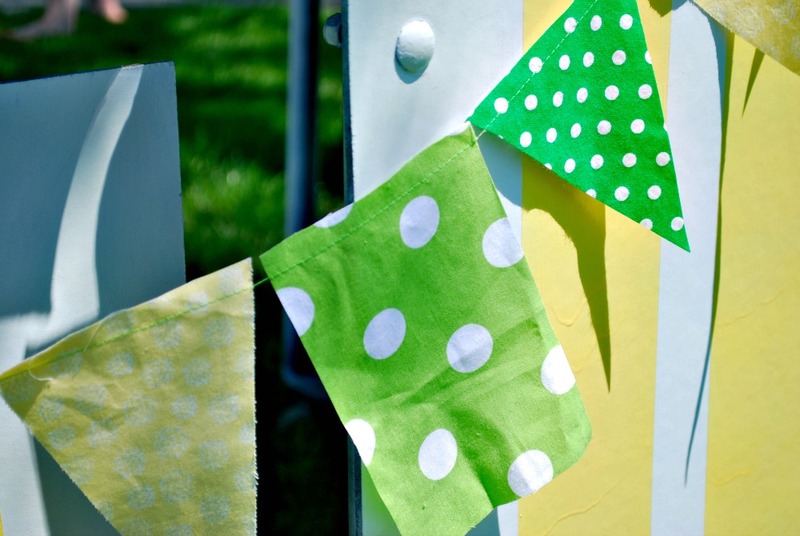 I hung them onto the lemonade stand with some simple hooks. I decorated with fresh lemons and limes and some baked goods. 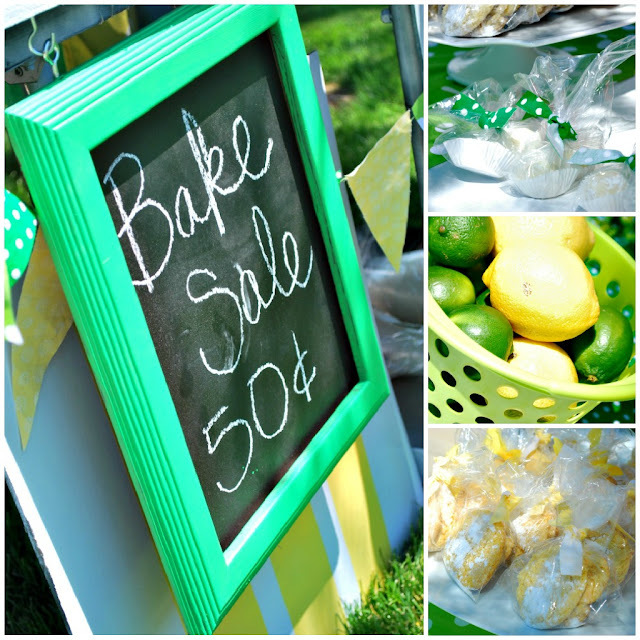 I told the boys I would make some baked goodies for them to sell in addition to the lemonade. The truffles were my boys' favorite. 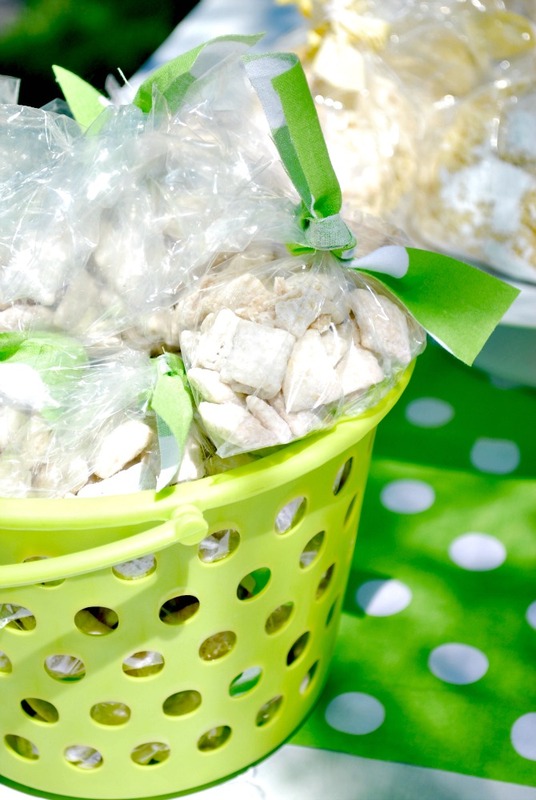 The Chex mix was the crowd's favorite. I also sewed up a really simple fabric pennant banner. I used scrap material and cut it into different sized flags. Then I simply ran it through my machine one piece at a time a sewed it all together. 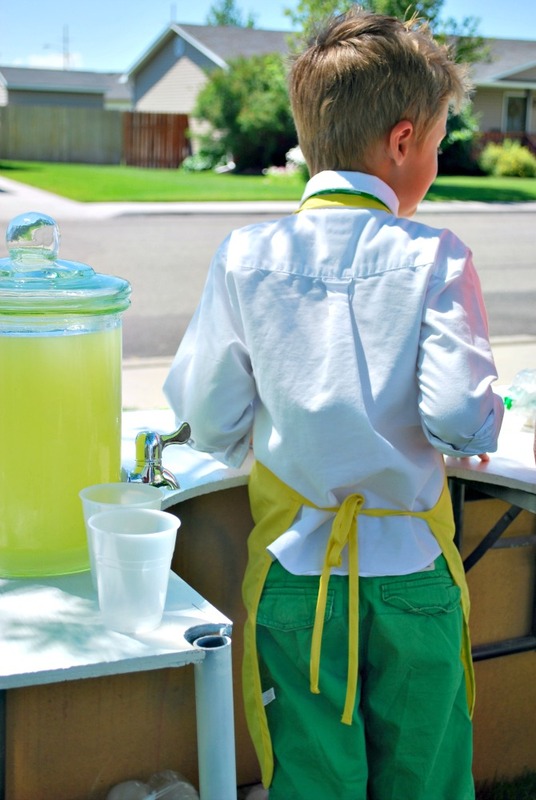 We served two kinds of lemonade. The first kind was good old traditional Country Time. We also made a special kind of lemonade. The recipe was a pin from my Recipe Pinboard on Pinterest. 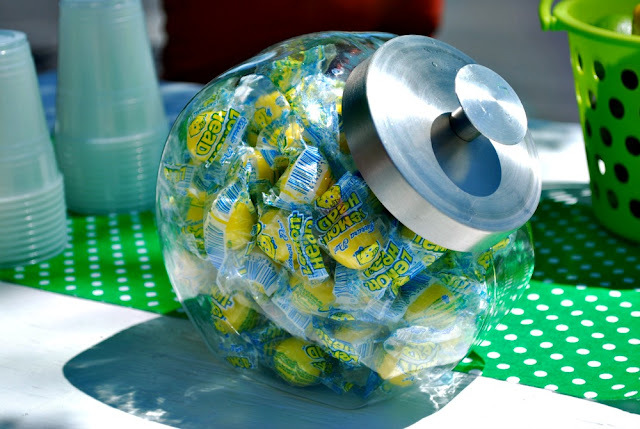 I even threw in Oldest's favorite candy, lemon heads. They served as a great treat to eat up during the slow selling times. My boys did an awesome job. They stayed out there for 3 hours. They waved nicely at cars as they drove by. They said "thank you". Oldest was a mean adding machine. They poured. They served. They worked hard. 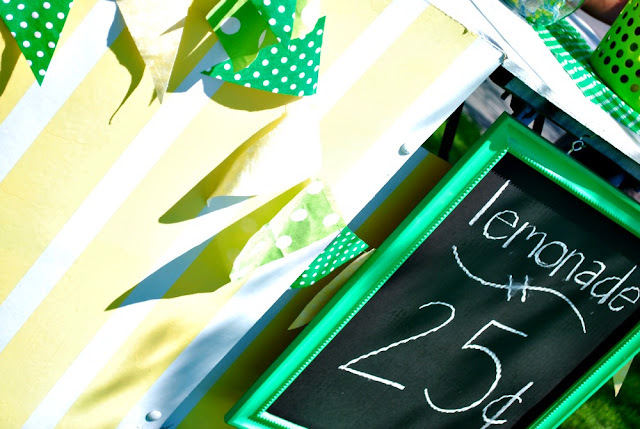 They sold a lot of lemonade and almost every single treat. Much to their relief there were two things of lemon truffles left. Whew. They were really stressed for the last 10 minutes that they were going to sell out of them. They were really happy to be able to take them home and eat them. They really enjoyed themselves, AND they were able to make a little bit of money to put in their banks. 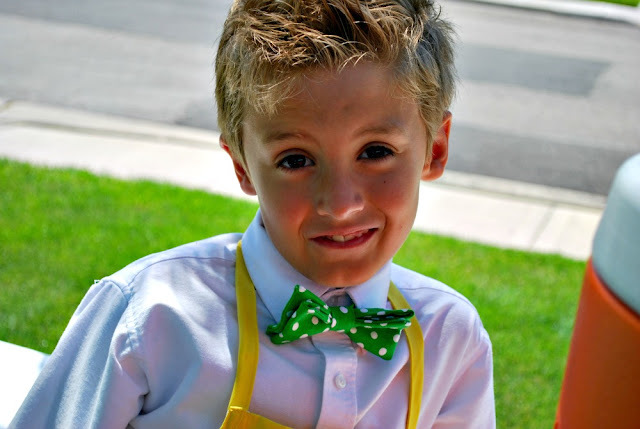 I am so grateful for all my friends, family, neighbors, and the strangers who supported my boys in their little lemonade stand. It meant the world to them that people stopped to buy their lemonade. I love that they got to have this experience. 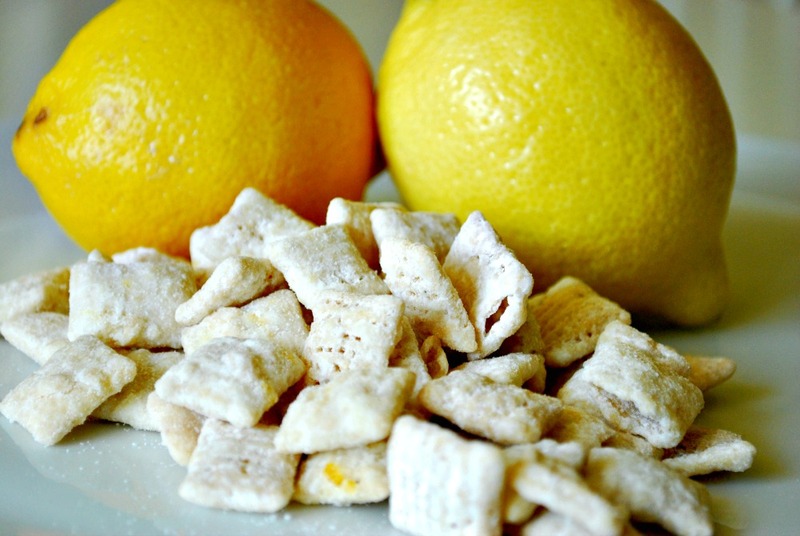 Today I am over at Somewhat Simple sharing this recipe for Lemonade Chex Mix. Like I said, this was a crowd pleaser. This mix was SUPER yummy. Thanks for letting me show off my Little Lemonade Entreprenuers. That is the most rockin' lemonade stand I've ever seen! And your boys are soooo handsome! Great job momma :) I'm gonna try that lemonade chex mix....yum! 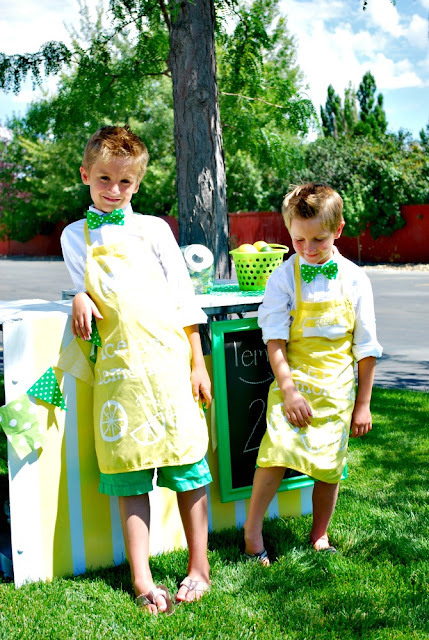 Love your boys lemonade stand! You put alot of thought and great ideas together! Great job! Your boys look so handsome, such wonderful memories! Thanks girls! And the chex mix is fabulous. You are so fantastic! The boys looked amazing & the stand was just perfect! My crew has asked me countless times if they can run a stand - but we don't live in an area that really gets much traffic. What sort of a spot did you choose? Maybe we'll have to go set up shop in front of the elementary school. Thanks for the adorable inspiration!! Pedey, we went to the entrance of our subdivision. Basically just right after the main turn. That way we got everyone coming and going. Oh my goodness! 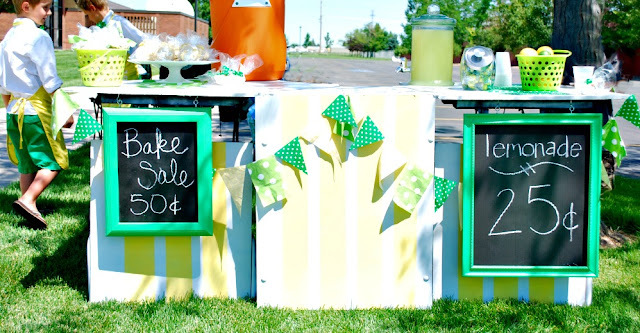 This is pretty much the cutest lemonade stand ever!